I’ve been so excited to get this book, and so far it’s been pretty rewarding. I’m actually not a huge David Byrne fan, but I just love people who pursue—and think and write about—creativity with few borders and labels. Byrne’s career has been awesome to watch, while he veered from New Wave and Alternative with the Talking Heads into some kind of Latin/dance explosion and then beyond. When you find a phrase you like, loop (repeat) it. When you see someone else with a stronger phrase, copy it. I think this is a great way to pursue a spiritual, Gospel-shaped life. God sings this song; it’s a song of redemption and restoration. A song of absolute love and acceptance. Music is meant for response. The best songs grab something inside of us. For Believers, this Gospel-song is the highest form of musical expression we could hear. All of us are called to this melody, this tune that has been sung through the ages. But after responding, our job is not yet done. When you take no notice of anyone else’s dance. When you refuse to acknowledge the strength of someone else’s dance. We do not do this dance alone. It’s not enough to celebrate our own response; we are knit together in these communities where others are responding, where we can notice and celebrate their responses as well as ours. If we don’t notice other people’s response to the Gospel, it can become too easy to think that our dance is the best (only?) response to the Gospel-song. We lose our perspective. Our dance is all we know, and we may be convinced that it is the only way to respond to the Song, but we also start to notice or suspect that something is not quite right: our sense of joy, or peace, or love seems lacking. Maybe we’ve noticed that it has become difficult to admit failure, or to ask for forgiveness from people we’ve hurt. It’s times like these we need to maybe lift our heads and notice that others are dancing too. They are dancing through consistent and fervent prayer; through passionate worship; through diligent study; through compassionate service; through committed community. But even then job isn’t done, because we also have to be willing to—in the words of the exercise—notice the “strength” of someone else’s dance, and then submit to the strength of their dance. So often our ego gets in the way of our growth. We desire growth, but aren’t always willing to sacrifice our ideas of “how life works”—our dance—to someone else’s, even when we recognize the strength and success of that dance. As people of faith, we recognize that Jesus has the strongest dance of all, and we need to adopt his movement into our lives. But more immediately there are people in our midst who are responding and moving to the Gospel song, and we should readily recognize when their dance is stronger than ours, and then adopt it. We think we know how to pray/worship/study/serve, but maybe we notice that someone else’s dance in this area is stronger than ours. Are we willing to set aside our “dance”—the way we pray, or worship, or study, or serve—and adopt theirs? To admit that maybe we’re not as strong as we think we are in this area? Who can you learn from this week? … Here’s another track. Tacky fire suit, but great track; great energy. 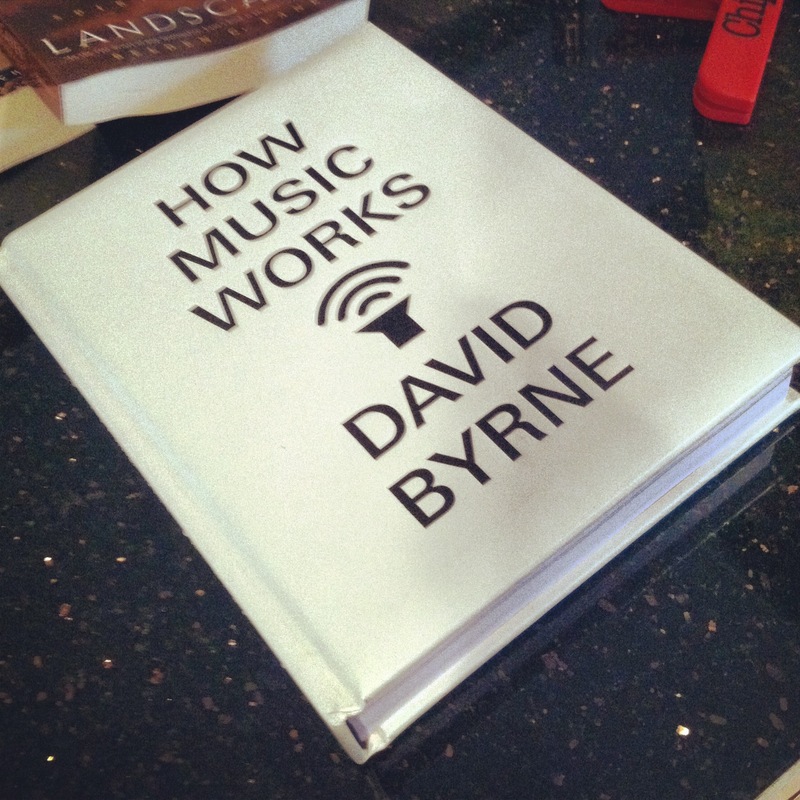 This entry was posted in art // music, culture, faith and tagged david byrne, discipleship, faith. Bookmark the permalink.